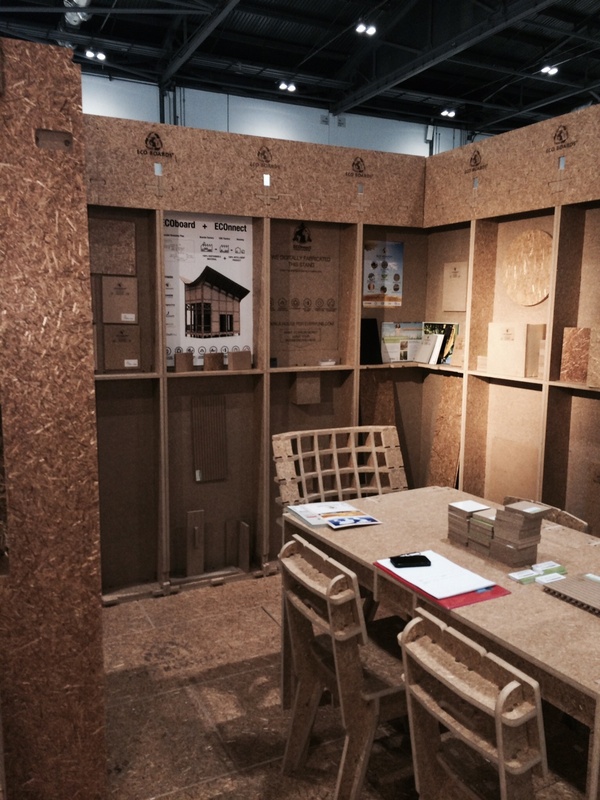 Home/Design/We won an Ecobuild Sustainable Stand Award! The Ecobuild 2014 conference was a huge success for Ecoboards and its international team of partners who helped prepare and present our business at our stand: Econnect (NL), Geaves (UK), Sareco (Germany/NL) and Bouw 2008 (NL). We are extremely proud to say that this fruitful collaboration won us the Bronze Medal AWARD from the Green Building Council for the most Sustainable Stand of 2014 – and ECOBUILD is the world’s biggest conference fair hosting literally hundreds of environmentally friendly businesses! We’re very happy to have been able to answer the questions of scores of visitors, and to get inspired by new ideas and connections.